One thing the Crown or the government has always done well is keep taxation records. Many other things might be lost, but for the most part, records of taxation have remained intact. Sadly, that doesn't mean you can dig into them all and find your grandfather's income tax return, tempting as that might be to the avid genealogist. But some older tax records are available, and it's quite remarkable what you can extrapolate from them. There are many who will remember the divisive poll tax initiated by the Tories. It was, in fact, nothing new. Poll taxes have been around for centuries, in one form or another. Poll is the old word for head, and that's essentially what it was - a head tax. The poll tax was first levied in 1377, and again in 1379 and once more two years later, with a basis that was a little different in each case. Initially everyone 14 and over had to pay 4d (2p). By 1379 that had become graded according to social class over the age of 16, and by 1381, it was everyone over 15 (the poor were exempt). It was revived by Charles II as he tried to raise money (it had been used by his father). It was collected on a number of occasions, although not every year, until 1698. You can find the original returns in the National Archives (or National Library of Wales or National Archives of Scotland), although the survival rate of the documents differs from areas of the country. Copies can sometimes be found in local records offices, too. What they offer can be quite wonderful. Families are named together, with wives and children named (normally the children listed are over the age of 15). The different rates people paid are shown, as well as those deemed too poor to pay the tax. That makes it an excellent record of the population, if the records for your area still exist. Even the older records from the 1300s list people by name, making these quite the fullest medieval documents, and the ones where you're most likely to catch a glimpse of an ancestor. Again, this was a ploy by Charles II to raise money. Families were charged 1s (5p) for each fireplace in the house they occupied, and the tax was collected every six months. Whilst not perfect for genealogists, the returns do offer an indication of wealth (the vast majority of the population occupied houses with only one fireplace). Those too poor to pay - almost half the people - are also listed, although the listing of their names is haphazard. Records were well kept initially, but after it was farmed out to private tax collectors, that became less so. It was a remarkably unpopular tax, not just because it meant paying more, but because it meant inspectors entering the house, and at that time it was still very much regarded as a man's castle. 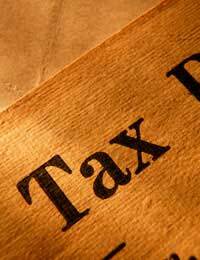 The tax was abolished by William of Orange in 1688. However, still needing money, he replaced it with a window tax in 1696 (which is why you often see brick-up windows on old houses). Hearth tax records are kept at the National Archives, although you'll almost certainly be able to find copies at your local records office, covering the area. Window tax records are also in the National Archives. The government (and Crown) has always sought ways to raise money, and there are records of the following taxes available in the National Archives.